Lowery became very close to Defoe during the player's time at Sunderland after being a mascot for the Black Cats, and the pair spent a lot of time together in the youngster's final months. 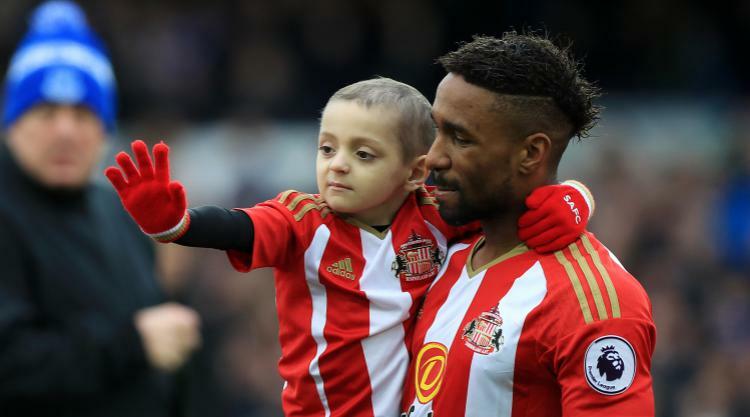 Defoe, who now plays for Bournemouth, said: "Every time I stepped into the room, Brad's face would light up, no matter what he was going through or the pain he was in. "Each time he stood by my side as a mascot, he was always full of an infectious energy. Brad is always in my thoughts, and I know the support he had from all of the football world meant the world to him." Lowery is among October's nominees for the Laureus Best Sporting Moment of the Year Award. The overall winner will be decided by a public vote at the 2018 Laureus awards ceremony.